AppleCare+, insurance, or something else — how to pick the perfect protection plan for your iPad! If you're getting the new 2018 iPad Pro, you may also be thinking about getting a protection plan for it. Apple, of course, offers AppleCare+, but there are also third-party services, credit card benefits, and other programs that might be of interest. Here they are! This covers you if your iPad suddenly won't turn on, can't hold a charge, or a button randomly breaks within the first year of ownership. But the basic version of AppleCare does not protect against any kind of accidental damage, so if you drop your iPad or get it wet, you're not covered. That's where AppleCare+ comes into play. AppleCare+ costs an additional $69 (or $3.49 per month for two years) for the 9.7-inch iPad or iPad mini, and $129 (or $5.99 per month for two years) for the iPad Pro and must be purchased within 60 days of purchasing your iPad; most buy it when first purchasing an iPad from Apple, but the extra time is provided for those unsure of the program's benefits. Best Buy will also let you add AppleCare+ to your purchase, at the same rate as Apple Retail. If you decide to buy AppleCare+ after your purchase date but within the first 60 days, you can visit checkcoverage.apple.com; you'll have to verify your serial number and run a remote diagnostic. You can also bring your iPad and proof of purchase to an Apple Store, or call 800-275-2273. 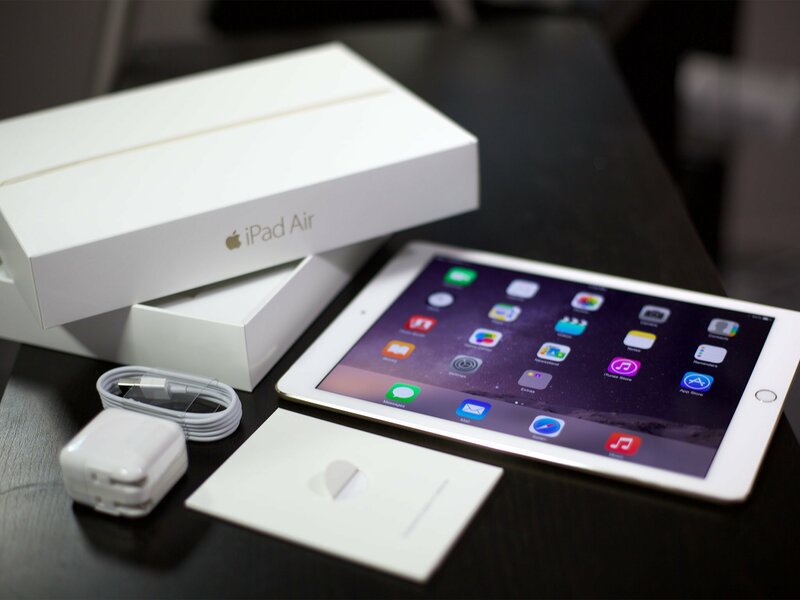 It extends the iPad's standard one-year warranty to two years, and also provides you with complimentary phone support for those years. As such, if you ever run into an issue with your iPad, you can dial 1-800-MY-APPLE and ask for AppleCare, or you can call 1-800-APL-CARE directly. Moreover, if you break your iPad or drop it in water, you've got a few options: AppleCare+ includes two accidental damage incidents where, for a $49 deductible, you can exchange your broken iPad for a replacement on the spot. The only thing AppleCare+ won't protect you against is outright theft or loss. AppleCare+ also covers any Apple Pencil you've purchased with your iPad. The same device defects are covered, and the two accidental repairs cost you a $29 deductable. To get the most value out of AppleCare+, it helps if you live close to an Apple Retail Store. If not, you'll need to mail your iPad to get it serviced. As such, if you rely on your iPad and live in a remote area, you may have to go without it for up to a week or two if it's damaged. Best Buy will also let you add AppleCare+ to your purchase at the same rate as Apple Retail. To buy AppleCare+ after buying an iPad (remember, you have 60 days), you can visit checkcoverage.apple.com, where you'll have to verify your serial number and run a remote diagnostic, by bringing the iPad and proof of purchase to an Apple Store, or by calling 800-275-2273, where you'll also need a proof of purchase and to run a remote diagnostic. Some credit cards offer warranty extensions, programs that protect against breakage, or even replacement in case of theft. Different credit card providers have different requirements, but typically you need to have an account in good standing and to have paid for your iPad entirely on the card in question. Premium cards, like gold or platinum, often have additional benefits that go with their higher fees. If you're on the fence about buying AppleCare+, it's worthwhile to see what benefits your current credit card company offers first. Some automatically extend the manufacturer's warranty (in this case, stock AppleCare) for an additional year: As such, the credit card company may reimburse you should your iPad have a defect in that second year, but it wouldn't offer AppleCare+'s extra benefits like accident coverage and phone support. To find out if your card offers these sorts of benefits, you can visit your bank's website or call the toll-free number on the back of your card. SquareTrade offers warranties that are similar to AppleCare but not affiliated with or licensed by Apple. SquareTrade covers drops, liquid damage, and malfunctions, and while the company doesn't have retail outlets for in-store fixes, it does offer free two-way shipping. If you're willing to pay a $49 deductible, you can get a two-year plan for $109, or a three-year plan for $129. (Bonus: Costco members can get that same two-year plan for $74.99.) You can also ditch the deductible, but pay more up front: $169 for two years, or $199 for three. And while AppleCare+ covers just two incidents of accidental damage at $49 each, SquareTrade covers as many incidents as you have. SquareTrade will reimburse you for Genius Bar repairs and even cover same-day repairs through local service shops, if you'd rather get your iPad fixed in person instead of sending it to a SquareTrade depot. This flexibility can be appealing to people who don't live near an Apple Store but may travel near them on occasion. Carrier insurance offerings vary greatly based on what carrier you have, what kind of contract you have, and many other factors. We're hesitant to recommend them over AppleCare+ and other options simply because there are typically exorbitant monthly fees plus ever-changing deductibles involved, often on the pricier side. Unlike AppleCare+ and SquareTrade, some carrier insurance plans offer protection from theft and loss. However, both circumstances are rare occurrences, statistically speaking, and they may already be covered under your homeowners or renters' insurance, or another personal or work policy. Should you buy an extended warranty from big box stores? Likewise, most big-box retailers' extended warranties aren't worth buying, either. Their fine print is usually packed with restrictions; store employees usually push these warranties at the registers because the company's profit margins are huge compared to the repair costs they pay out. Don't be pressured: In honesty, you might be better off by stashing the money in a savings account and paying for repairs yourself. AppleCare+ is great for anyone who isn't terribly accident-prone and plans to keep their iPad, iPad Pro, or iPad mini for more than one year. For $69 - $129, you get peace of mind in knowing that you're covered against defects for two years, and if you do break your iPad, you only have to pay $49 for an Apple-certified replacement. Who should purchase insurance from SquareTrade? If you're worried about accidents or you don't live near an Apple Store, SquareTrade may be your best option, and its three years of coverage is only $40 more than AppleCare+'s two-year plan. We recommend SquareTrade's deductible plan over the no-deductible plan to keep your costs lower in the event you don't wind up needing accidental coverage. Who should use their credit card benefits? If you have a credit card that provides insurance or replacement benefits for your iPad, you may not have to buy any additional insurance at all. Check with your credit card provider to find out if your card applies! Who should buy carrier or retail insurance? If you're extremely unlucky and accident-prone, don't live close to an Apple Store, can't use SquareTrade, and don't have any kind of protection through credit cards or your homeowners' insurance, then maybe it's worth considering retail insurance. Still, probably not. Thoughts, questions, comments? Let us know in the comments what insurance plan (if any) you've decided on! Updated October 2018: Added price information for AppleCare+ to reflect the new pricing for coverage for the 2018 iPad Pro.